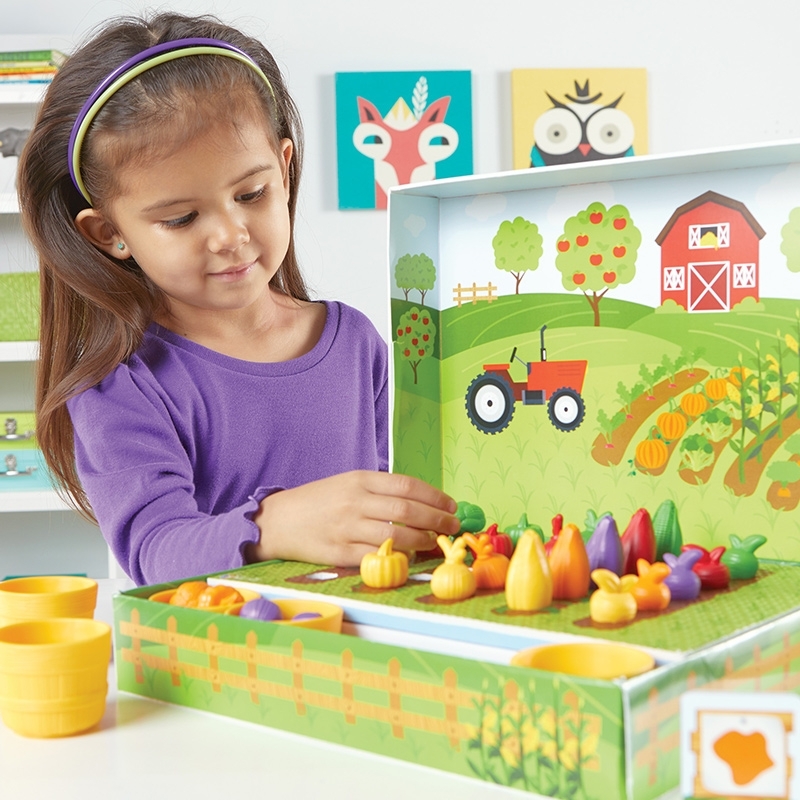 Bring out your child’s inner gardener! 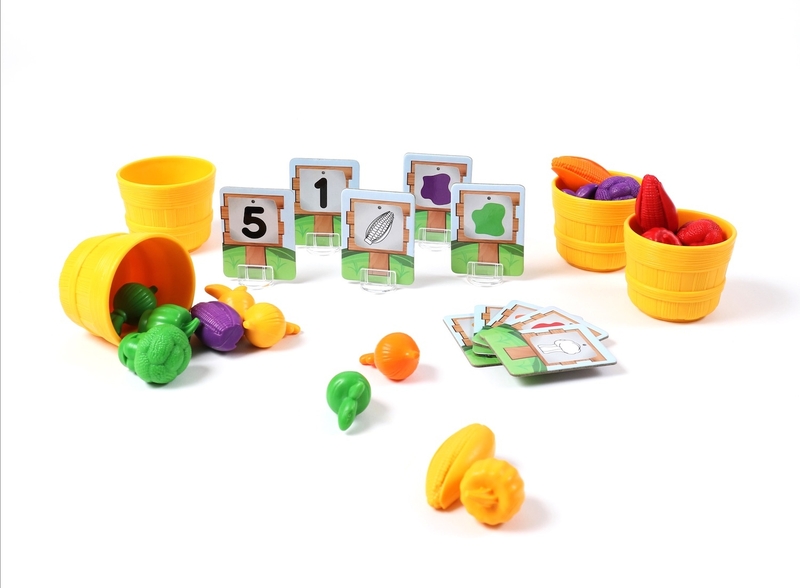 What’s growing in our garden? 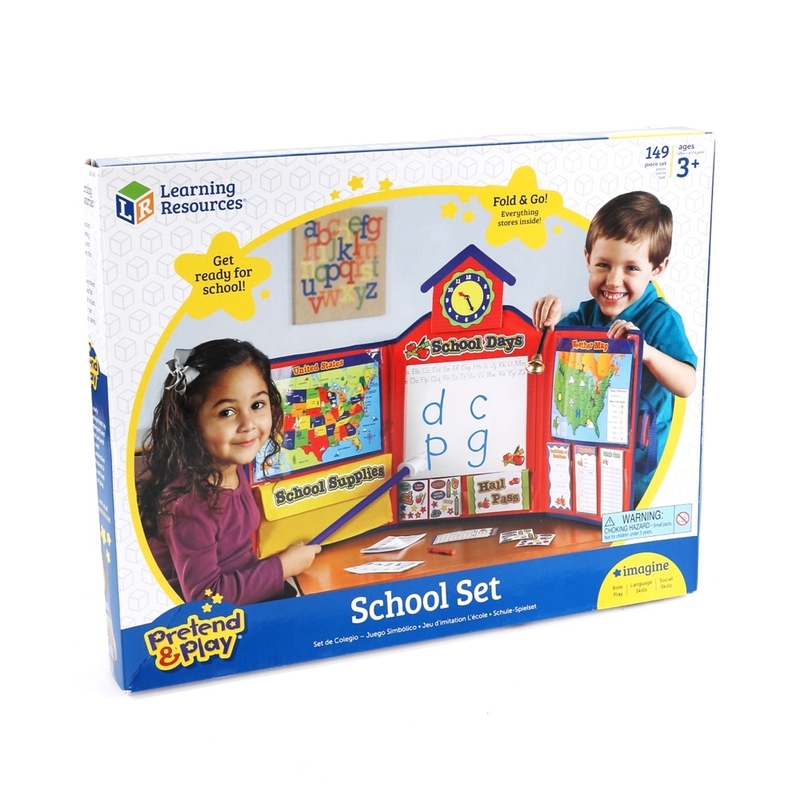 New learning! 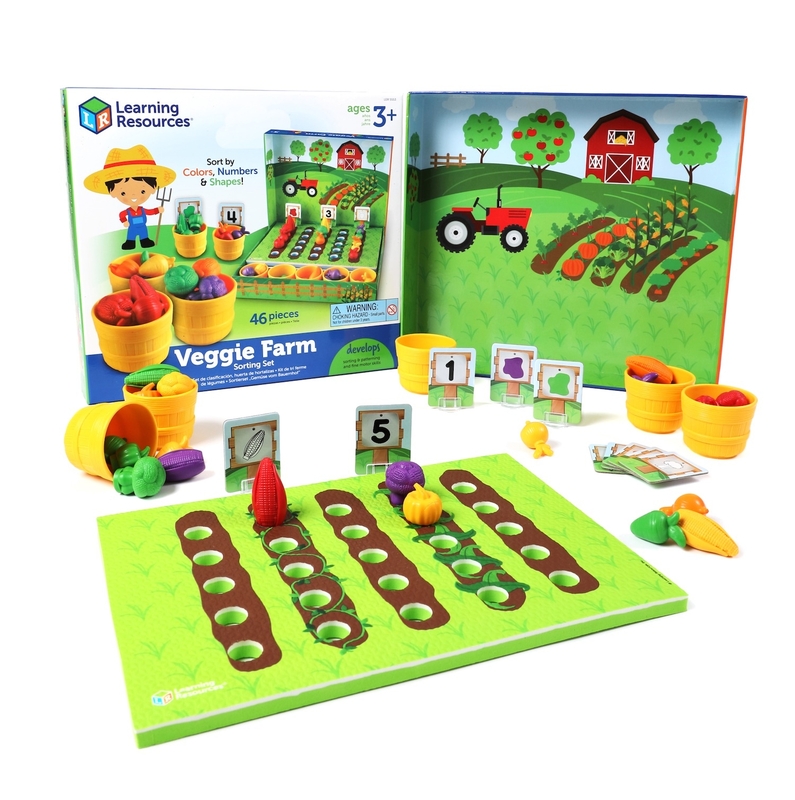 Help your little ones improve their recognition, matching, and early counting skills with this Veggie Farm Sorting Set. 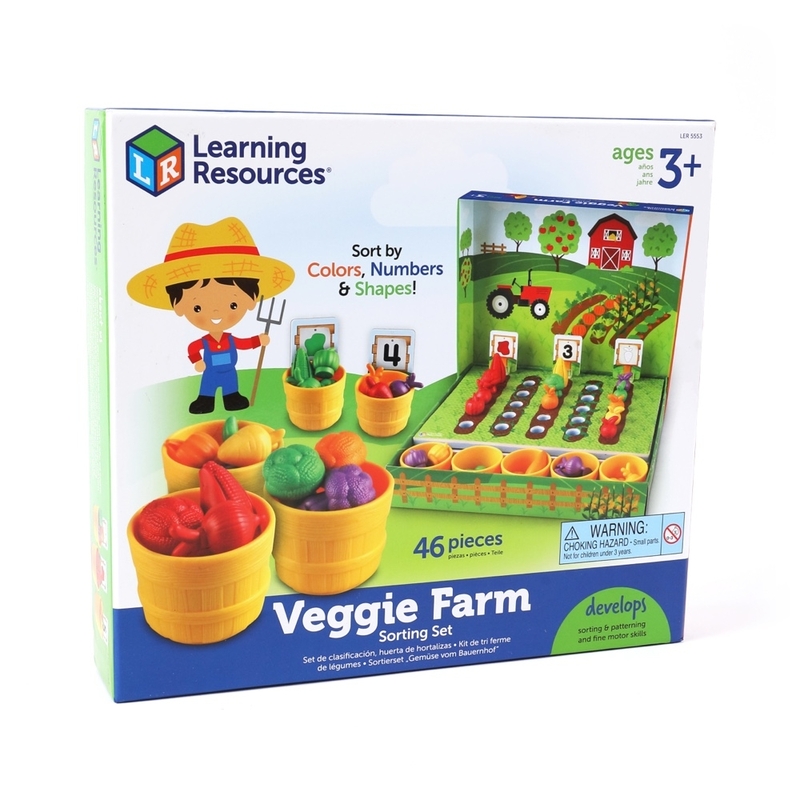 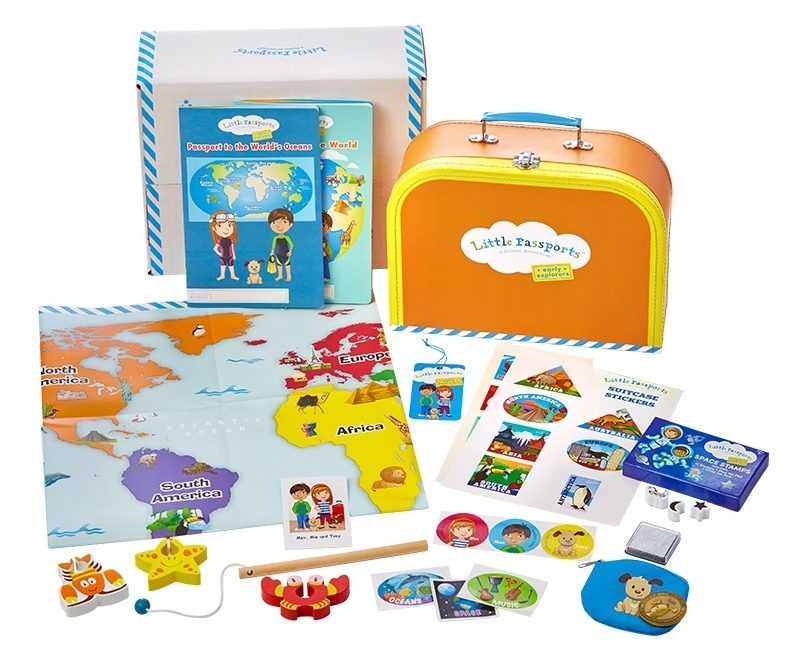 Aside from learning new veggie vocabulary, kids can use these figures, along with the included bushel baskets and soft foam playmat, to work on other real-world skills. 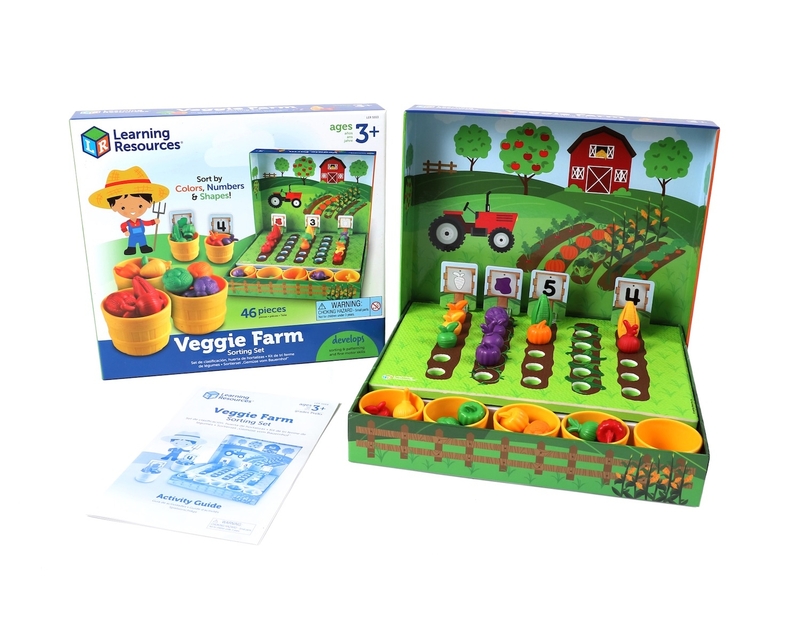 The set features 5 different types of vegetables, 10 garden signs and a colorful 11x8 garden play board.